Evaluation processes are a key element used in quality inspection, marketing and other fields in industrial companies. In these processes, it is very common that a group of evaluators assess a set of evaluated elements, according to a set of criteria, which may have different nature and usually present uncertainty. In this context, the fuzzy multicriteria group decision-making (FMCGDM) method has been successfully applied to different evaluation problems. This method provides a closeness coefficient of each evaluated element in order to generate a final raking. 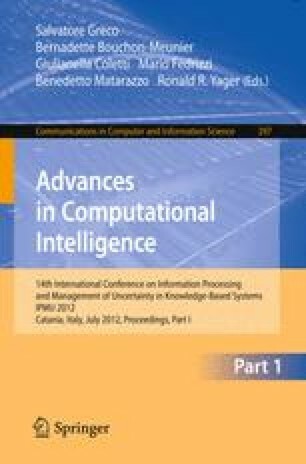 However, its applications to complex evaluation processes that requires the understandability of the closeness coefficient drive us to propose the use of the linguistic 2-tuple representation model to extend the FMCGDM method, in order to provide linguistic closeness coefficients, which are easy to understand. Moreover, we apply the extended version of the FMCGDM method in an evaluation process of fabric hand.